The Devonport Leat is one of our favourite Dartmoor features. It was built in the 1970s to take water to the well-populated Devonport Docks in Plymouth. 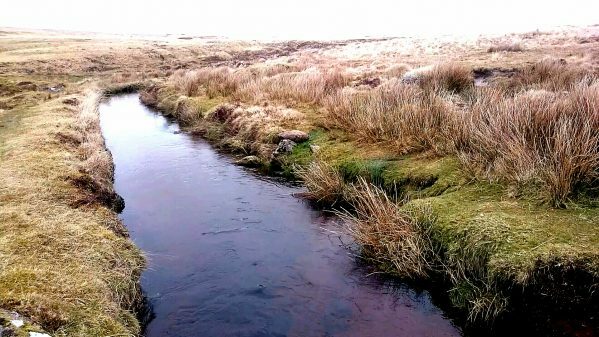 There are lots of reasons to choose a leat as part of your route, they are beautiful to look at, easy to follow and guarantee an almost level walk. This walk takes in our favourite section of the Devonport Leat, between Whiteworks and the Raddick Hill aqueduct and then allows you a perusal of the mysterious Crazy Well Pool. For Dartmoor accommodation and activities information, we thoroughly recommend Visit Dartmoor. The official tourism organisation for Dartmoor National Park. a) Park in the quarry car park on the narrow Whiteworks Road (SX 603707). b) Follow the road back towards Princetown for 200 metres and take the track that leads southwest. c) Follow this track (is is often very wet) as it crosses over the main South Hessary Tor path and down to a stone bridge. This bridge is marked on the map as Older Bridge (SX 598 705). d) Follow the leat downstream as it meanders around the hill. One way to check on your map how far you have walked is to count the footbridges (FB) as you pass them (you may spot a sheep or even a pony using them to cross). You may also notice the old cross (SX 591702) and our favourite ‘Kink in Leat’ (SX 581707) as you journey along. 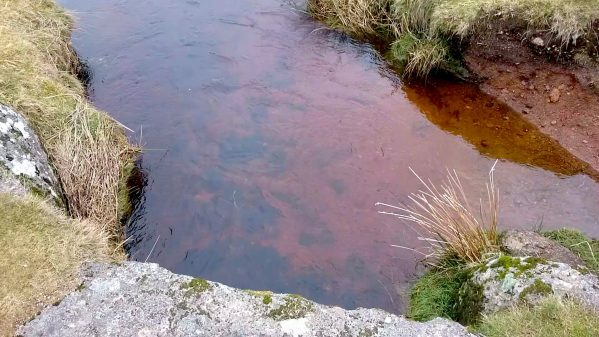 e) The Devonport Leat crosses the River Meavy in spectacular fashion at the aqueduct (SX 573713) and you can follow it across but take care. This is a great coffee spot and the leat now wends its way down through the woods to Burrator Reservoir but our walk sets off on a return route here. f) Return carefully across the aqueduct and head for the first footbridge past ‘Kink in Leat’. Cross this footbridge and follow the grass-marked track southwest down to Crazy Well Pool (the source of many Dartmoor stories). g) From Crazy Well Pool, head south until you meet the track and follow it east back to Older Bridge. You can now repeat the first section of your walk and head back to the car. Inspired to walk further or a bit more off the beaten track and find some more of Dartmoor’s hidden places? We Blondes run navigation training and wild camping workshops! Have a look at our workshop dates below.